Questions are powerful weapons in the copywriter’s toolkit. We use them to craft powerful headlines, start conversations, and prompt a desired course of action. The good news is they work really well in print and across most digital platforms. Knowing your audience is key to using questions effectively. You must be certain that your audience will respond positively to the question in order for the rest of the content to be relevant to them. Don’t use too many questions. This can be overpowering and turn the reader off. Make the answer obvious and relevant to your audience. Never ask a question if you think your audience will answer ‘No’. You will lose them. There are different styles of question to select from when crafting content. The choice depends on your audience and what you want them to think, feel and do in response. If you’re targeting people in a specific situation or community, asking a Yes/No question will help filter your audience down to the people you want to connect with. Anyone that answers ‘Yes’ is more likely to engage with your content. Once you’ve captured your audience you can start to grow your relationship based on this mutual understanding. Have you ever had back pain so bad it made you cry? Are you a small business owner with a passion for customer service? Got that Sunday night feeling again? Sick and tired of being ignored? Used well, emotional questions evoke memories, trigger feelings and create strong reactions. Crafting a strong question comes down to knowing your audience and what kind of triggers they might respond to. A call to action is one of the most important elements of any communications campaign. It’s essential to achieve the response or reaction you’re looking for. On a website, for example, a question might be followed by a button. If the aim of your campaign is to make people stop, think, and behave differently, using challenging questions in your copy can be key to inspiring this change. Here are some sub-headings from an article I read about the problem of plastics in our oceans. The combination of questions compels the reader to listen and take action. How can we solve it? How does it end up in our food? Humans are naturally curious beings. Keeping us wanting more is a cute marketing trick. The classic Gold Blend adverts of the 80s and 90s spring to mind – if you’re too young to remember, check them out on YouTube! Viewers were hooked on the ‘will they, won’t they’ saga of two neighbours who shared a love of good coffee. Leaving your audience with questions is a great way to engage people in your campaign. It’s also a good way to drive traffic to your website or get people talking on social media. And the great news is you don’t need a million pound TV advertising campaign to do this. A simple call to action like ‘Read the next installment in our blog’ or ‘Watch part two on our website’ could take your audience to the next level of engagement. So in the true spirit of leaving you with a question, what do you think R is for? Watch this space to find out! 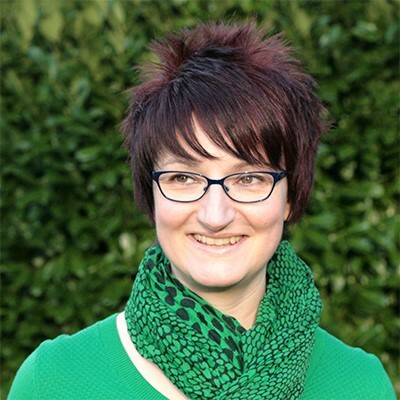 Lucy Jackman is a copywriter and content marketer at Comma Sense. She supports small to medium-sized businesses with creative copywriting for websites, blogs, newsletters, and a variety of print materials.